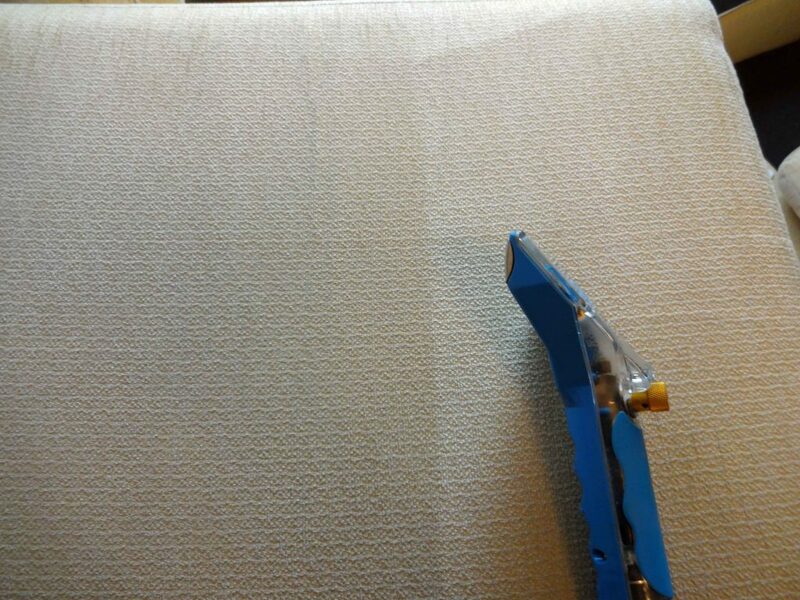 I cleaned this white sofa using a Ph neautral cleaning solution called Fusion Clean. 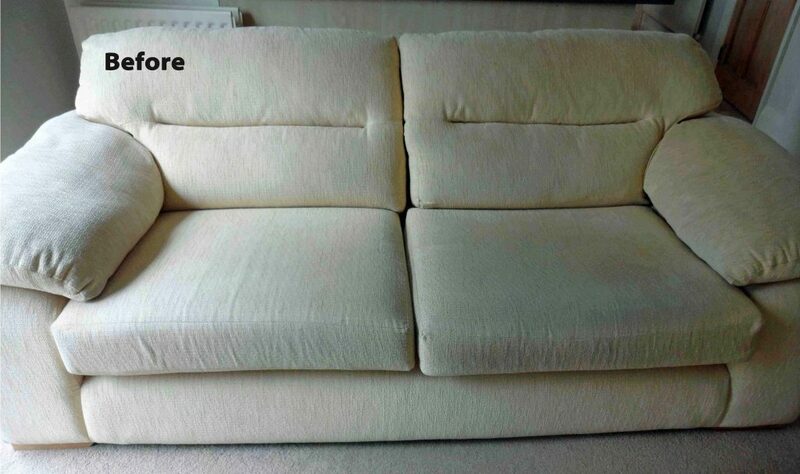 It’s amazing and really transformed this sofa taking away all the soiling built up over the years. There is nowhere for dirt to hide on white fabric. 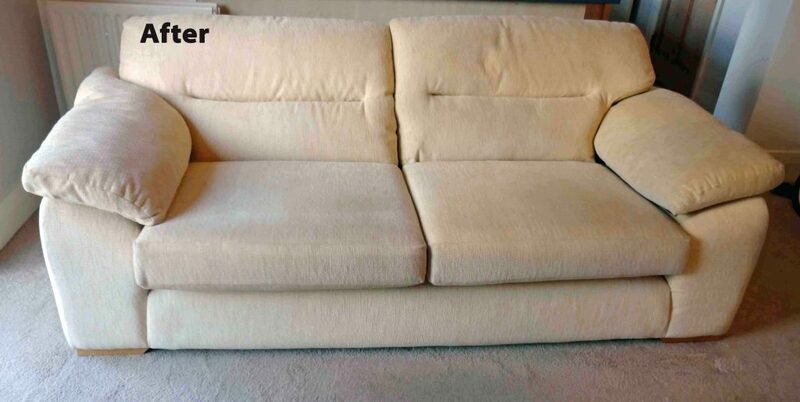 I went back over heavily soiled areas a second time to be sure to get a fully clean sofa. I use a Mighty Dry tool to rinse out the fabric. It’s really great because it only washes the outside of the fabric and prevents water from soaking deep into the cusion. This means it dries much quicker. Rinsing the fabric using the Mighty Dry tool. This is designed to rinse any soils out of the face of the fabric without water going deep into the cushion. This means that drying times are so much shorter.